For Bergman's study, squirrel monkeys trained on a variety of behavioral tasks will be tested to see how exposure to radiation impacts performance....NASA is stepping up its space radiation studies with a round of experiments that for the first time in decades will use monkeys as subjects. The point of the experiments is to understand how the harsh radioactive environment of space affects human bodies and behavior and what countermeasures can be developed to make long-duration spaceflight safe for travelers beyond Earth's protective magnetic shield. For the new study, 18 to 28 squirrel monkeys will be exposed to a low dose of the type of radiation that astronauts traveling to Mars can expect to encounter. Scientists are particularly interested in studying how the radiation impacts the monkeys' central nervous systems and behaviors over time. NASA has zapped rats and mice to probe radiation's impacts, but that provides only a small picture, Frank Cucinotta, head of the Space Radiation Health Project at the Johnson Space Center in Houston, told Discovery News. "Obviously, the closer we get to man, the better," added Eleanor Blakely, a biophysicist at Lawrence Berkeley National Laboratory who studies radiation-induced cataracts. For Bergman's study, squirrel monkeys trained on a variety of behavioral tasks will be tested to see how exposure to radiation impacts performance. The radiation exposures will take place at NASA's Space Radiation Laboratory at the Department of Energy's Brookhaven National Laboratory in New York. "The beauty of this is that we can assess at different time points after exposure, so not only do we get a sense of rather immediate effects, but then we can look again at longer time points," Bergman said. "That kind of information just hasn't been available." The animals, which will not be killed, will remain at McLean Hospital, where they will be overseen by veterinarians and staff. 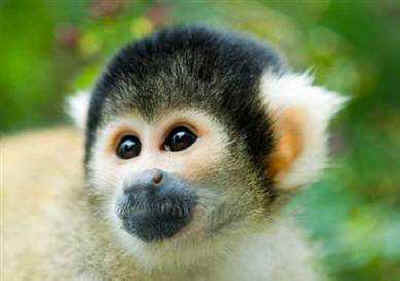 "McLean Hospital is responsible for the lifetime care of the primates," NASA wrote in an email. "No further research is planned for them at this time." Before NASA first sent humans into space, it flew two chimpanzees, Ham and Enos, to test the Mercury capsules. In all, 29 non-human primates have flown in space, including 12 on Soviet or Russian rockets and 17 on U.S. spacecraft, according to NASA's chief veterinarian Joseph Bielitzki. Most of the missions were suborbital flights to test basic physiology and assess risks of launch and microgravity.